If the crisp air and colorful leaves are making you crave all things pumpkin, check out some of the best of fall’s favorite flavor in Hamilton County. With something for everyone, you can rest assured that these places have your autumn spice cravings covered! If you’re searching for pumpkin in its purest form, you can’t go wrong with a stop at Stuckey Farm Market in Sheridan. 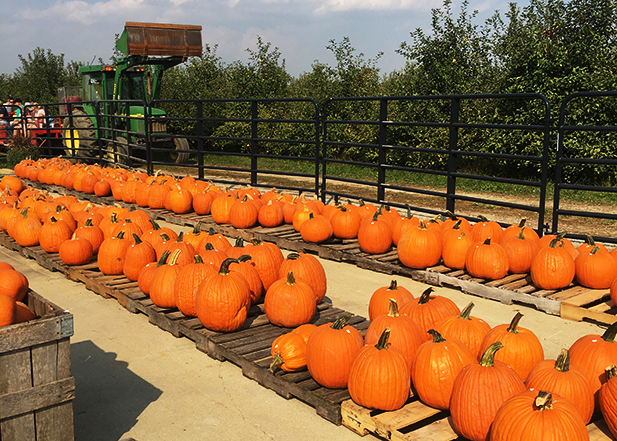 The Harvest Festival is ongoing each weekend in October, but a special Pumpkin Fest Oct. 23 and 24 is just the place to celebrate your love of everything pumpkin as you pick up one or two fresh from the patch. 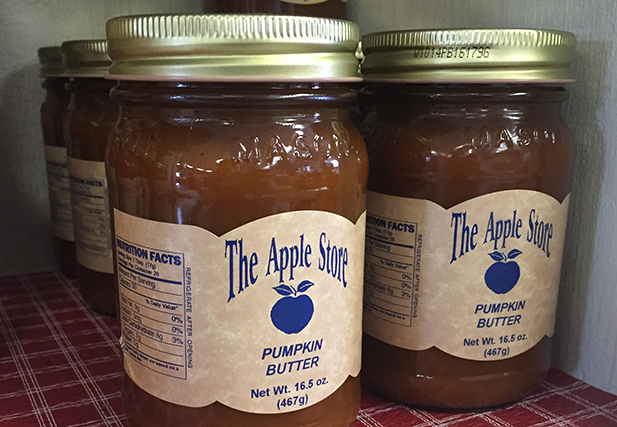 Next, stop by Conner Prairie’s Apple Store for some rich and creamy pumpkin butter. A jar of this will ensure you have fall on your table all season long. Of course, no trip to the Apple Store would be complete without one of their fresh dipped caramel apples. Trust me, you won’t be disappointed! If you’re a traditionalist and only like your pumpkin in the form of a fresh round pie, make sure to check out Wilson’s Farm Market in Arcadia and Lisa’s Pie Shop in Atlanta for fresh homemade pumpkin pies. Both also carry a wide variety of other delicious flavors, but make sure to call ahead if your heart is set on an orange pie plate of perfection. For a sweet treat, you can’t beat Rosie’s Place on the Noblesville Square. 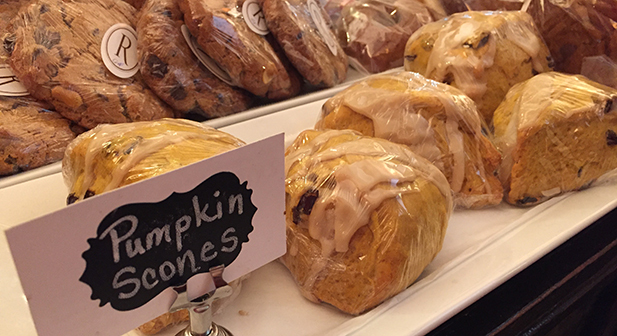 The endless selection of pumpkin treats at the bakery counter includes your choice of pumpkin scones, pumpkin muffins, pumpkin bars and the oh-so-delicious pumpkin gooey butter cookies. Don’t skip the weekend-only pumpkin doughnuts, either. They put all the flavors of fall into one perfectly round treat! And finally, if you’re in the mood for something a little more grown up, how about a glass of Pumpkin Ale? 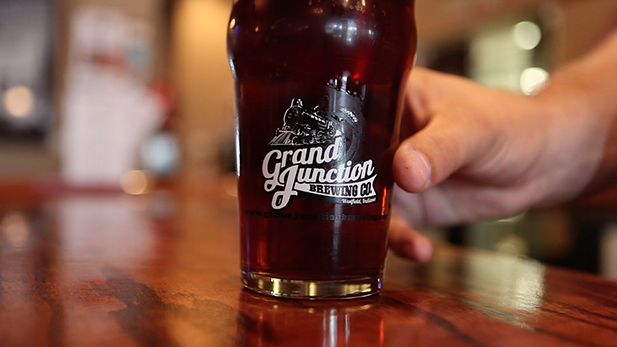 Grand Junction Brewing Co. in Westfield just released this year’s Straight Outta Da Patch – Pumpkin Ale. Available by the pint or growler, this is the perfect fall brew. Did we miss your favorite pumpkin treat? Let us know how you like to eat your pumpkin by tagging us on social media using @VisitHamiltonCo and #VisitHC.